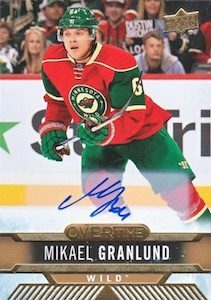 2017-18 Overtime Wave 1 - Checklist Added	Overall rating:	0	out of 5 based on 0	reviews. 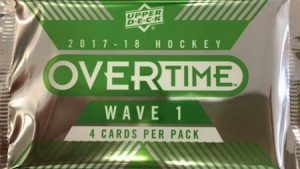 2017-18 Overtime Wave 1 is an Upper Deck product that acts as a purchase incentive on hobby format boxes. These bonus packs are only available through authorized dealers. 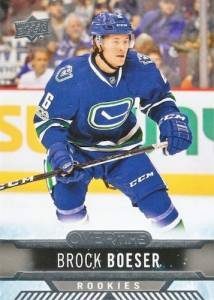 The product is released in three waves throughout the collecting season, starting with the release of Upper Deck Artifacts and Series 1. 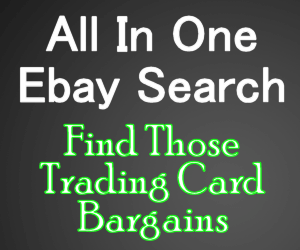 Each pack offers 4 cards as well as the chance at a limited number of autographs.